THE EMPIRE POLICE are an indie rock quartet from Preston. 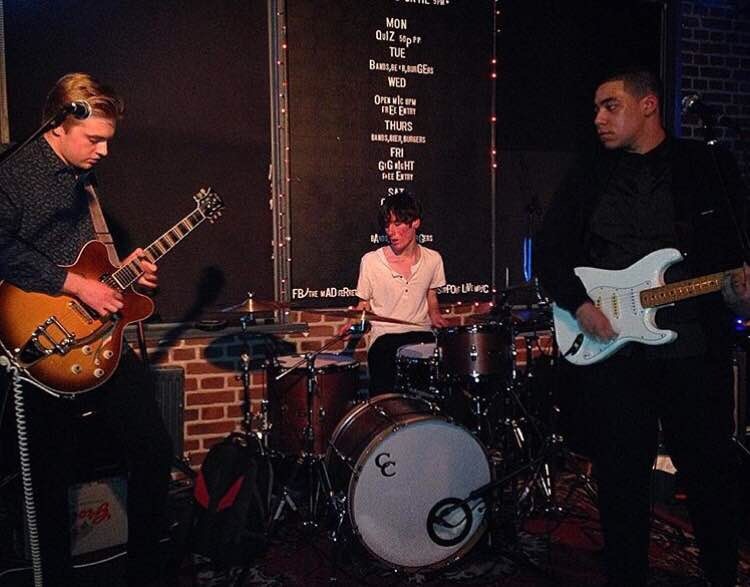 Consisting of members Jordao Bassa – Lead vocals, songwriter and guitar; Tom Hale – Lead guitar/backing vocals and songwriter; Fynley Dobson – Drums and Percussion; and George Jacques – Bass guitar, the band formed in June 2015. Having recently headlined Preston’s Glastonferret festival, and even supported Trampolene; who if you didn’t know, recently supported The Libertines on their tour, the band are really starting to get their name out there. The band have even released a couple of demos on their Soundcloud, with the first being the enthralling track, Out of Nowhere. The track is composed of groovy guitars, alongside some imaginative drumming/percussion, giving this track an infectious sound. A particularly striking factor for me is the very notable Northern twang in Jordao’s vocals, which simply adds to the ‘Madchester’ vibe the band are going for. Just By Chance is the bands most recent demo, and listening to it you can particularly hear the influence from The Libertines, with the track still having that unique edge. From vocals, guitars, and even the percussion; this band have sure got the whole ‘indie rock’ sound down to a tee – and these are just the demos! While some polishing may be needed, these demos certainly highlight the energy, commitment and tightness the band have got; there is potential here and it shows. The Empire Police have a number of gigs coming up, including two headline gigs at Manchester’s Zombie Shack on August 11th. The band told me they’re hoping to continue recording over the course of summer, and are planning to try and release their debut EP later on this year. In the meantime make sure to go and give them a listen! Previous Previous post: The 1975 add dates to UK Arena Tour.